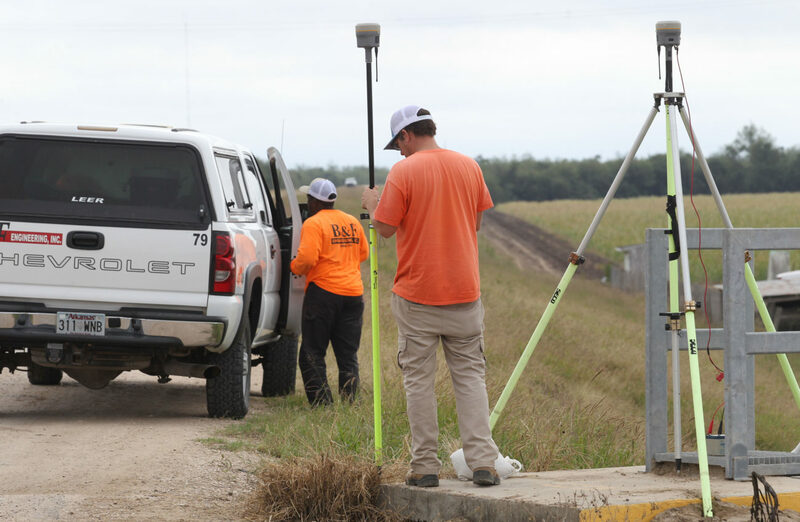 MISSION — Workers were seen surveying land near and around the National Butterfly Center here just two weeks after millions in contracts were awarded for border wall construction. 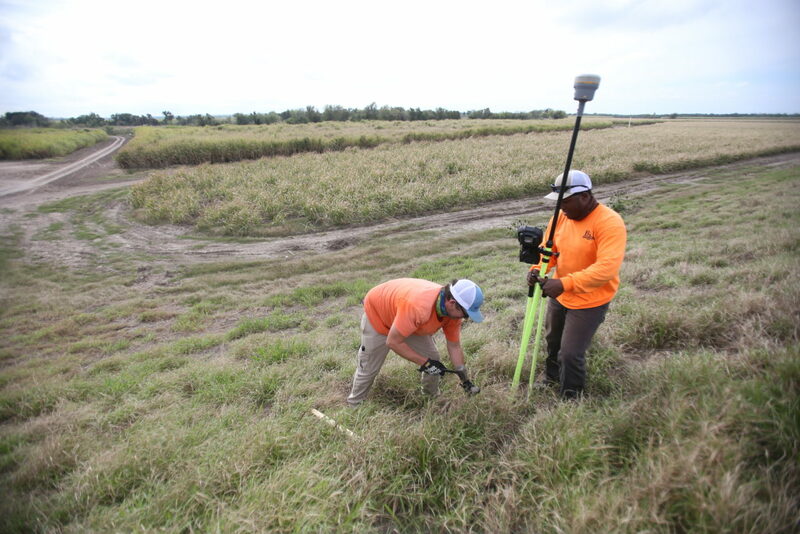 Contractors are beginning the process of assessing the area in preparation of the official construction of steel fencing, which is expected to begin in February. 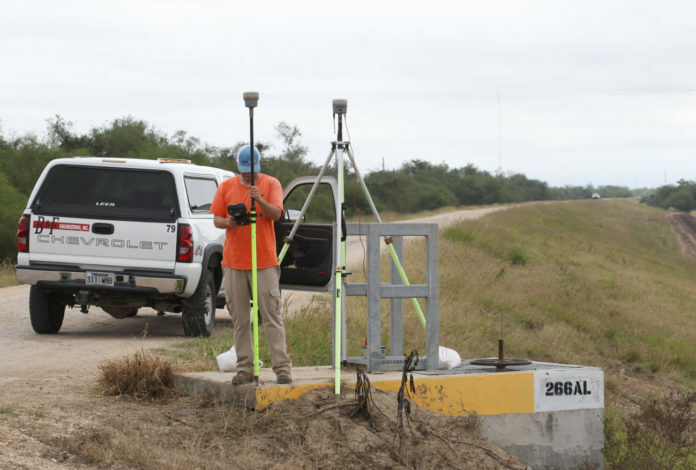 According to U.S. Customs and Border Protection officials, the project, which includes five segments, are located south of Alamo, Donna, Weslaco, Progreso and Mercedes. 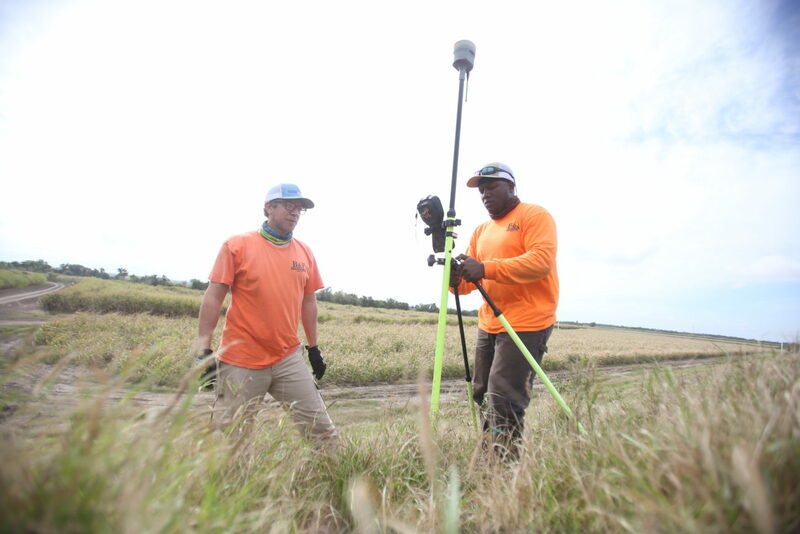 CBP officials announced earlier this month that $167 million had been awarded to SLSCO, a Galveston-based company, for 8 miles of levee wall system in the Rio Grande Valley. 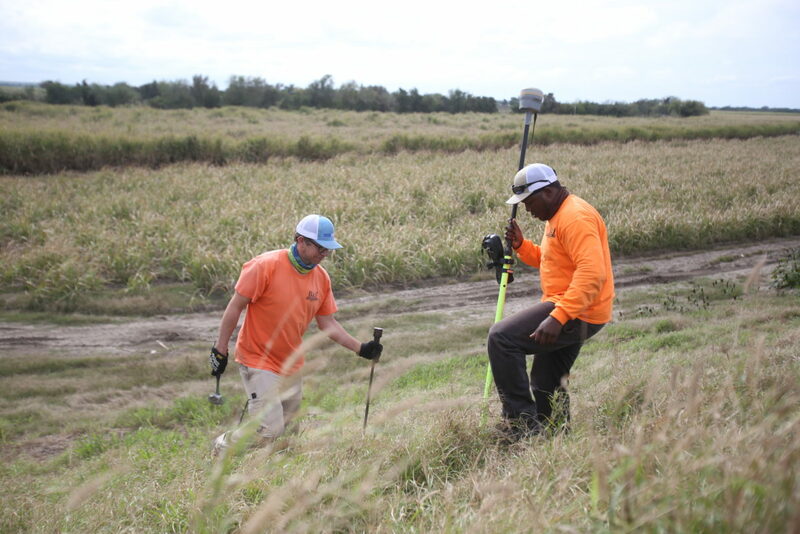 The news of the activity around the Mission area Thursday comes a month after a representative with the Army Corps of Engineers met with National Butterfly Center Executive Director Marianna Treviño Wright, and only a few days after a surveying company representative informed her that his workers would be surveying the property. A message left for Corps officials has not been immediately returned. 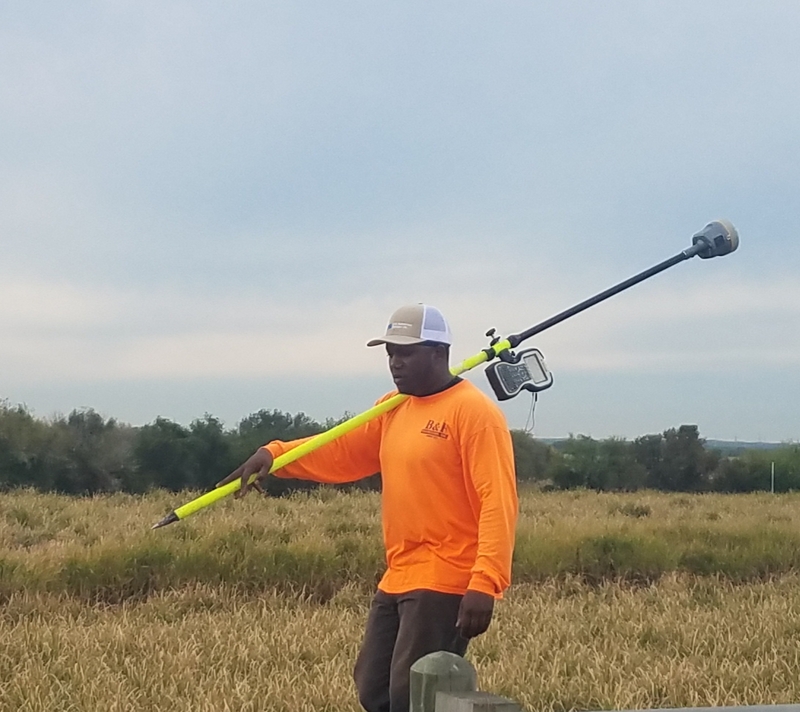 Treviño Wright first became aware of potential construction around the center’s property last summer, when she stumbled upon contractors surveying land near the butterfly center. On July 20, 2017, Treviño Wright said she encountered government contractors on privately owned, undeveloped land that is part of the center. This occurred around the same time the House voted to authorize $1.6 billion to build the border wall. It also came a week after CBP officials confirmed that work had begun at Santa Ana National Wildlife Refuge. Santa Ana, however, was ultimately spared in this year’s Omnibus bill, and will avoid construction. But other “environmentally sensitive” and historic Valley locations were not so fortunate. La Lomita Chapel, also in Mission, and the butterfly center are slated to be part of the plans for levee fencing. The federal government filed a Declaration of Taking just last month to use eminent domain to take properties that include La Lomita Chapel and land south of the Juan Diego Academy in Mission, on brush land next to the levee, court records show. The Catholic Diocese of Brownsville, which owns the historic chapel, argues that the government does not adequately and fully set out why immediate possession is necessary. In a statement released in late October, Bishop Daniel E. Flores said he respects the responsibilities of men and women involved in border security, but, in his judgment, church property should not be used for the purposes of building border fencing. In recent days President Trump has threatened to shut down the government if he doesn’t get $5 billion more for wall funding. U.S. Reps. Vicente Gonzalez, D-McAllen, and Henry Cuellar, D-Laredo, said in a news release Thursday that they opposed Senate Majority Leader Chuck Schumer’s negotiating starting point of $1.6 billion for wall funding. U.S. Reps. Vicente Gonzalez, D-McAllen, and Henry Cuellar, D-Laredo, released a statement Thursday evening after a meeting with Senate Majority Leader Chuck Schumer related to Trump’s position on border wall funding.